Great 2 bedroom rustic house with wood siding and mountain rock construction. Relax on the covered full length front porch while you listen to the wind rustle through the trees. 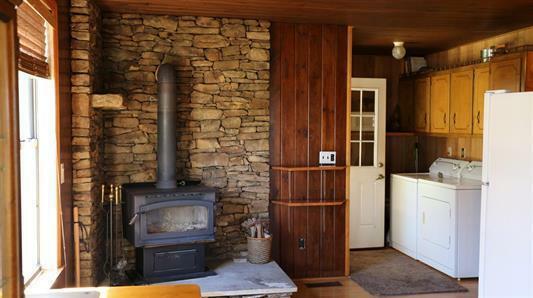 Interior features a stacked stone accent wall surrounding a freestanding wood burning stove that provides plenty of heat for the entire house. 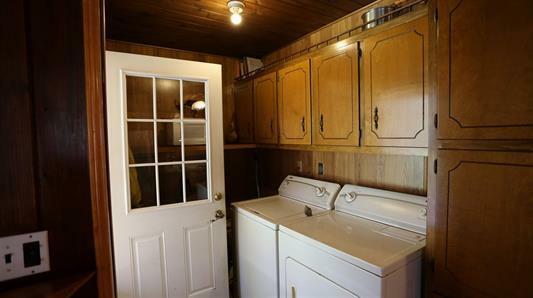 Also on the property is a detached covered parking area, a detached storage building,and a 15 ft by 30 ft building with water, electricity, and its own septic tank rated for 3 bedroom capacity. 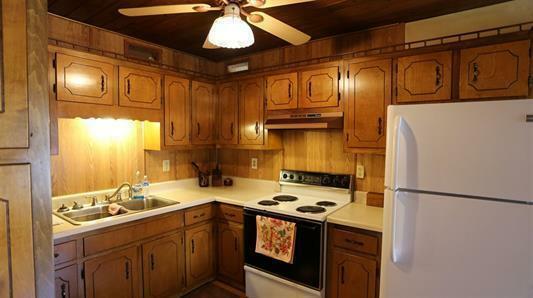 The current owners used the building as a commercial kitchen, but it is also perfect for a workshop, apartment, mother in law quarters, or as a detached home office. 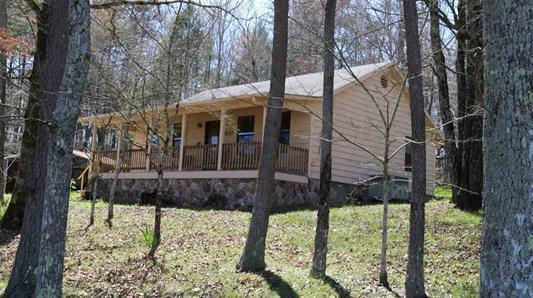 Mountain cabin with income opportunities.